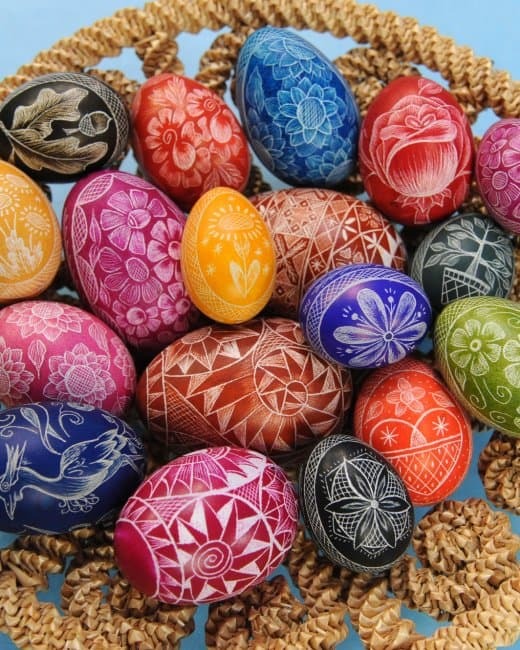 Will you be decorating any eggs for Easter this year? Better get busy – there are only two Saturdays before Easter gets here! Back when my daughter was little, we decorated and hid them every year. Back in those days about the only thing around for dying eggs was good old PAAS egg dye. 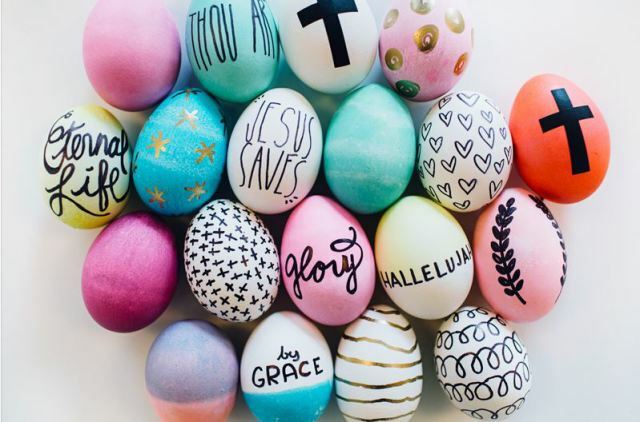 About the fanciest thing that people did with their eggs back then was to write on them with a crayon first so that the dye wouldn’t take in certain places. I thought that was so cool. Well, boy – we’ve come a long way baby! Every single year I see new and glorious ways to decorate eggs. Here are five of my favorites. Please click on the image or on the link below the image to pin from the original source. Starting with inspirational Easter eggs. After all, this is what Easter is really about – right? 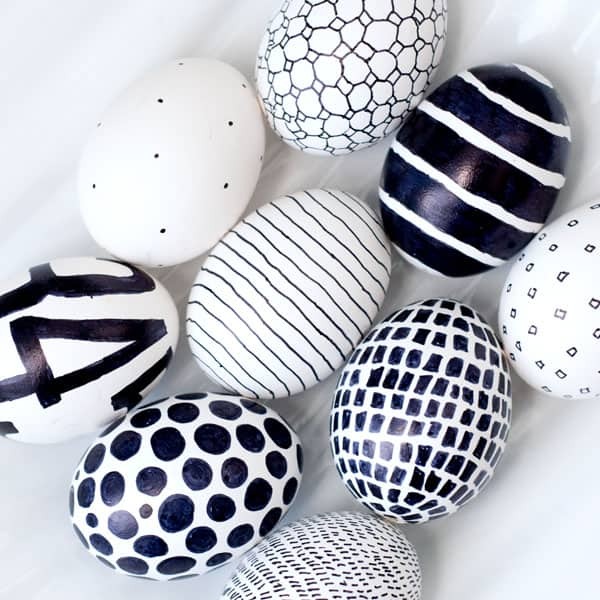 Easy sharpie eggs – no egg dye needed. Black and white anything is all the rage right now. 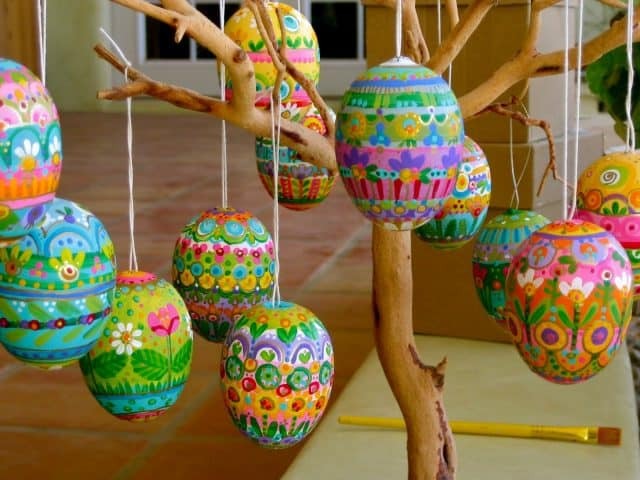 This idea would be wonderful for last minute egg decorating. 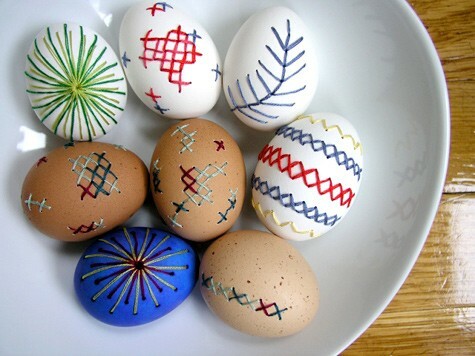 Embroidered eggs. What??? I didn’t believe this was possible so I had to go and check it out! Bright and cheery painted Easter eggs. Love all of the colors! I’ll end with a tip that I wish I had known about all those eye-dying years ago. 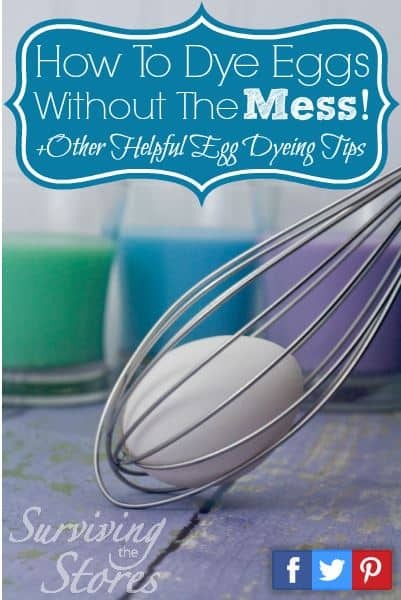 If you simply must dip your eggs – do it with a whisk. Genius!